As a Verizon Lifestyle Blogger, I have had the chance to learn a lot about Verizon Wireless, products that they sell, and services that they provide. TechyDad and I have been customers of Verizon Wireless longer than the eleven years we have been married. One of the latest items that I am learning more about are the prepaid phones and plans that are available. My oldest son is in his last year of elementary school. Thanks to this, we have to think about getting him a phone for security reasons for the start of middle school. 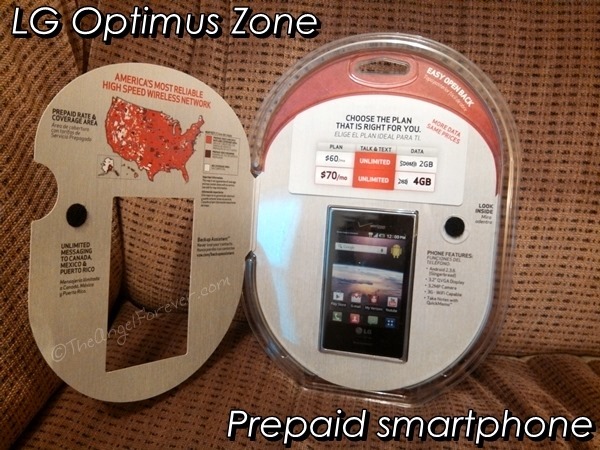 Prepaid smartphone allow individuals and families to have a flexible way to utilize a phone with a data plan. The phone does not cost as much as some of the higher end options and there is no annual contract required, so there is no long term commitment. 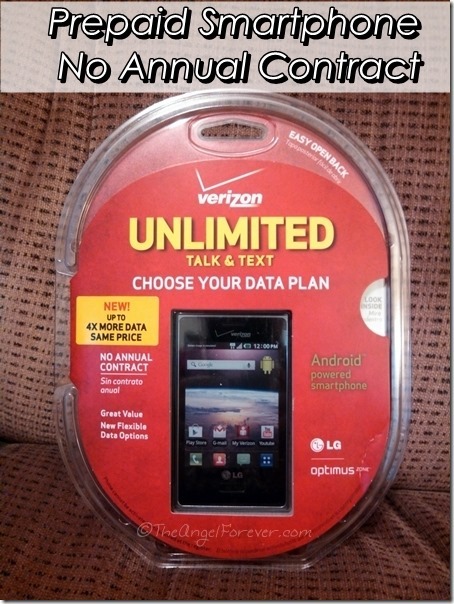 The phones comes with unlimited talk and text and then you select one of two data plans. For $60 a month, you get 2 GB of data and $70 allots you 4GB on Verizon’s 3G network. For young cell phone users, it keeps them safely in a plan where you will not have to worry about extra data charges. Replacement phones are will not cost you hundreds of dollars if lost, stolen, or broken. 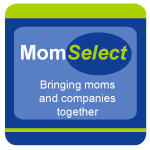 As a parent, I am intrigued in these options for my son once he gets a phone of his own. 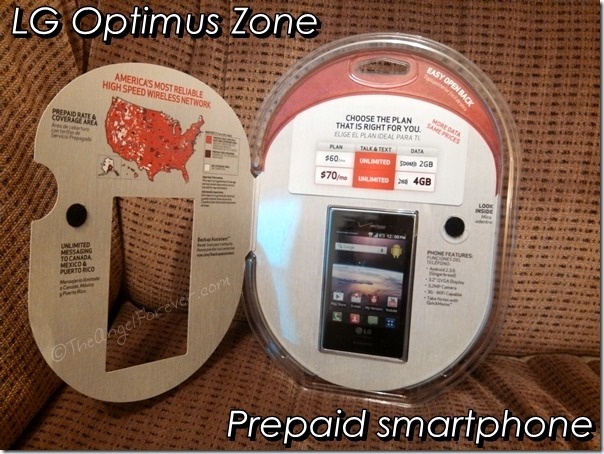 Verizon Wireless would like one lucky winner to have a chance to win their own LG Optimus Zone prepaid smartphone. The package above includes the phone, battery, travel adapter & USB Cable, and information from Verizon on the prepaid plans and how to set it up. It is important to note that NO service from Verizon is included with this giveaway. Please be sure to see the rules listed within the Rafflecopter widget and below. To enter, please follow the rules above within the comment section and Rafflecopter. Giveaway begins August 5, 2013 and ends August 26, 2013. You do not have to be a blogger to enter, but must leave a valid e-mail address for me to contact you for mailing address once the giveaway is over. You will have 48 hours to claim the prize. If there is no response, another winner will be selected. Open to US residents only. 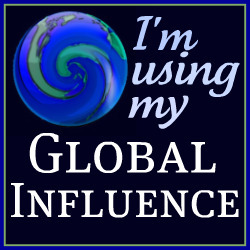 Disclosure: As a member of the Verizon Lifestyle Bloggers, I often receive devices to test out and share ways that I use my cell phone to make life easier. Verizon is providing the LG Optimus Zone to my winner, no other compensation was received. I am a long time Verizon customer, and all opinions are my own. This would be for my daughter whose in high school at the moment, I really need a way to keep in touch with her during the hours she’s away from the house. Will probably keep for myself, otherwise I’ll give it to one of my four grown children. holy Moses, i DO need this phone…i have the old school ‘talk & text’ only phone that just doesn’t cut it anymore…it could only be worse if it was the size of a small shoebox. great giveaway, thank you much! I would love it for me! I still don’t have a smart phone. I’d like to win this for myself! I want a phone without a contract. This would be perfect! J-Man doesn’t have a phone yet. He is starting middle school and I know it’s coming. He hasn’t asked for one yet so I’ll hold out for now. Unless I win one.Then we’ll see if he’s responsible enough for a phone. I would be using it for a second business device! I would love to get my work-related stuff off of this phone.